This is a sprite conversion utility with many features. 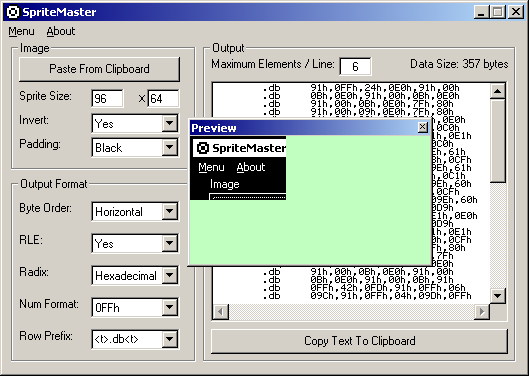 Input/Output is via the clipboard, so you can draw your sprites in paint and paste them into your asm program without using intermediate files. Features include vertical/horizontal byte order, black/white inversion, clipping, RLE compression, and output in binary, hex, or decimal.